We can’t think of anyone who doesn’t like owning something from Philips, so it was great news for the lads when the leading electrical brand launched its latest Series 5000 electrical shaver just last month. 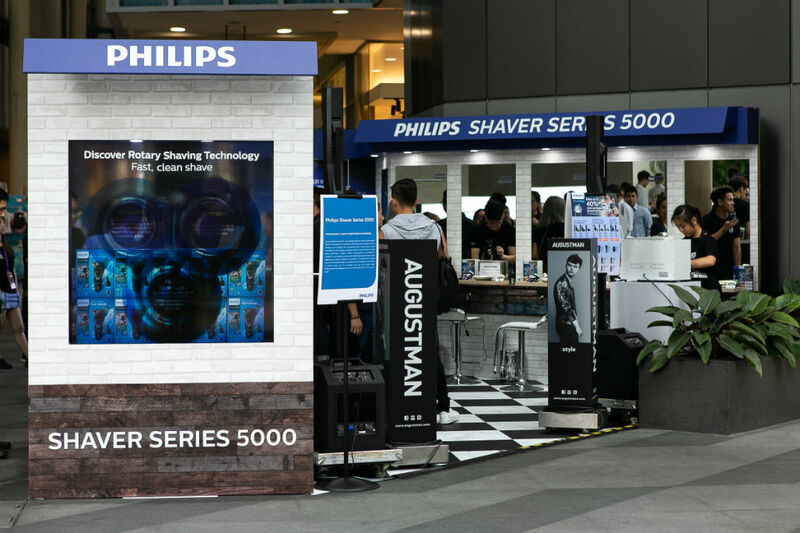 Between 8 and 12 October, Chevron House opened its space for Philips to introduce its top-of-the-line electrical grooming devices to the public, including the Series 5000. What makes the electrical shaver so special is that it gives a smooth, close shave in under two minutes, the fastest in the market. Thanks to the shaver’s flexible three five-direction rotary heads, the shaver is able to hug the contours of the face, thus promoting a smooth glide even across tricky and hard-to-reach areas on the face. As for the clean shave, you can trust the brand’s Multi Precision blade system that’s expertly hidden under the shaver’s protective grills. The sharp blades are able to slice off each strand of facial hair close to the skin without leaving redness and irritation in its tracks. And you can take our word for it. On the 11 October 2018, Philips opened up a slot for us to host a live demo in front of a crowd. While managing editor, Farhan Shah, took the lead in explaining the steps and sharing shaving hacks to the attentive crowd, writer Syed Zulfadhli demonstrated the right way to shave. True enough, two mere minutes was more than it took to clear up two weeks’ worth of facial hair, thanks to the Series 5000. The floor was then opened to the public and attendees were able to try the shavers on site to see what the hype was all about. Needless to say, nobody left the compound dissatisfied. Not sure what you’re missing out on? Watch the video below.